Computer technology in the UK is changing the workplace in a very fast pace. Existing jobs are evolving and new ones are appearing. One thing that is certain is, digital skills are vital in the workforce, therefore keeping pace with the latest technology used in workplace can be a challenge. ECDL online is the solution, letting you advance your career by expanding and updating your digital skills. The flexibility of our online E-learning means that you can focus on exactly the skills you need to excel in your job. It can be bad for your business to make optimistic assumptions about your team’s level of digital competence. 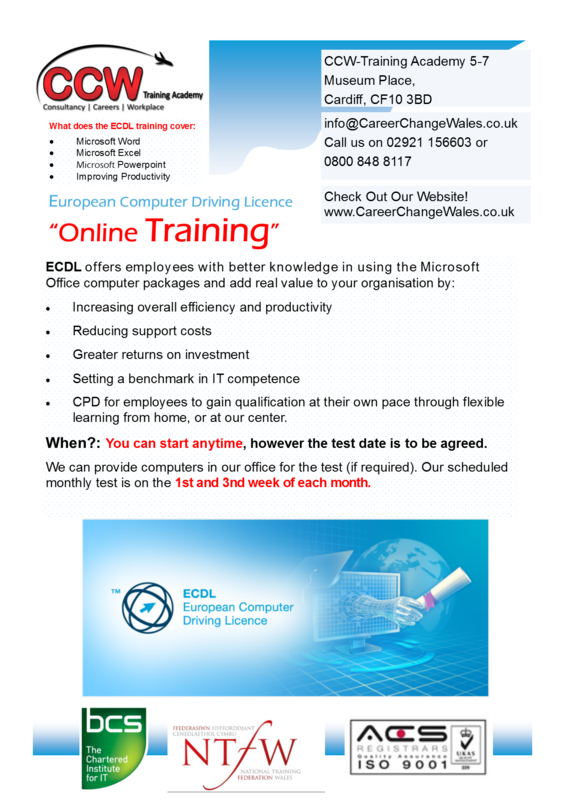 The ECDL online can help you to assess, develop and certify your employees’ digital skills. Having a workforce that is equipped with the right digital skills enables organisations to work more effectively, increase productivity and competitiveness, and achieve goals more efficiently. The ECDL online Fundamentals and Extra offers flexible programmes that help businesses and organisations to develop their employees’ digital skills.